Late July Air Wisconsin Airlines announced a new Captain upgrade class, and the most junior Captain awarded has only been with the company for 12 months. 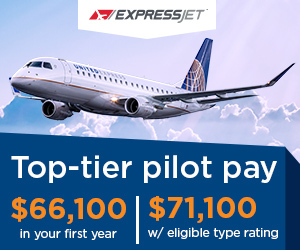 First Officers joining Air Wisconsin with previous qualifying flight time under parts 91K, 121 or 135 experience can expect expedited upgrades, faster than the 18-24 month window projected for pilots without this previous qualifying flight time. New hires with previous experience are also eligible for up to $57,000 in sign-on and experience bonuses, with $39,000 paid after IOE (approximately 3-4 months). New hires without experience are eligible for up to $49,000, with $31,000 paid after IOE (approximately 3-4 months). “As we anticipated, Captain Upgrade times have dropped drastically. With upgrades dropping to the 12 month timeframe, we are looking to hire experienced pilots who are ready and willing to uphold our standards of Safety and Service. Pilots who bring their experience to Air Wisconsin may qualify for additional bonus money and faster upgrades due to many new First Officers not meeting the regulatory requirements needed for the Captain position. 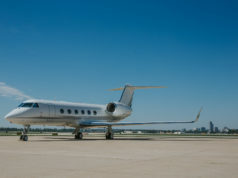 Additionally, if you are new to the industry and looking for your first airline career, we would love to have you. Our training program is designed for varying levels of experience. 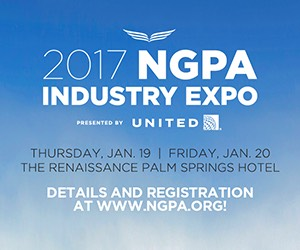 We will help build upon your training and provide you with many opportunities to learn and grow as a professional aviator. 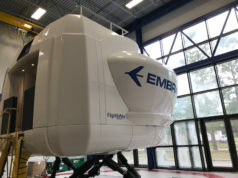 Most new First Officers will obtain the experience and legal requirements for the Captain position between 1.5 and 2 years of employment,” said Captain Aric Newsted, Director of Flying and Chief Pilot. 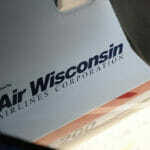 Additionally, all Air Wisconsin pilots have access to the best health insurance plans in the regional industry. 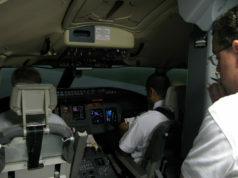 Chicago based Captain Phil Siess commented, “As a young pilot, I never really thought much about health insurance. However, after nearly $200,000 in medical bills and only having to pay less than $500 out of pocket, I was glad to have Air Wisconsin’s unmatched level of coverage.” Air Wisconsin will also match up to 8% of any pilot’s 401(k) contribution with 3% guaranteed regardless of contribution. 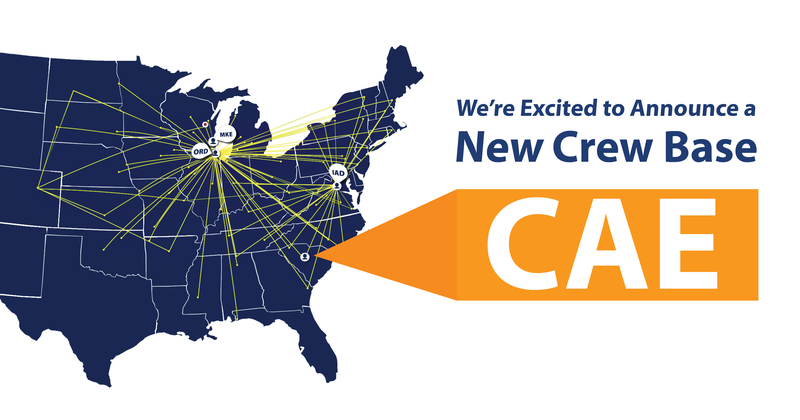 Air Wisconsin recently announced a new crew base in Columbia, SC (CAE) opening October 1, 2018. This will be the company’s fourth crew base joining Chicago O’Hare (ORD), Milwaukee Mitchell (MKE) and Washington Dulles (IAD). You don’t have to live at your base. The company’s commuter friendly policy makes it easy to live wherever you choose. In fact, roughly 80% of Air Wisconsin pilots commute to work. This allows them to enjoy our industry-leading work rules and quality of life benefits, while living where they want to live, rather than being forced to a specific location.